Favorite moment this week: Lucas’s reaction to seeing his little brother’s ultrasound picture. Y’all…it was the cutest thing ever & melted my heart. He is so excited for Logan to be here with us. He says “Doctors get Logan out, see me!” It is THE CUTEST THING I’ve ever seen! Feeling: Charlie horses are still going strong. Literally so hard just to even walk on a normal day. I am generally feeling huge & uncomfortable, not going to sugar coat it. I truly do love feeling Logan kick and just the miracle of carrying a baby & birthing a child & then having another little part of Brandon & I to raise, but with all of that being said I’m ready for a little break to get my body back and for it to not be hard to walk or get out of bed. Maternity clothes: I ordered a dress similar to this one from Pink Blush this week and can’t wait to wear it! Like most of their clothes, it should work perfectly with the bump & after Logan is here as well. They are having a “summer blowout” sale right now, so you can stock up on a lot of great pieces! Cravings: Snoballs. I could probably eat one every single day. It’s so hot here in Louisiana, so between that and my cravings for sweets, a snoball is the perfect thing! 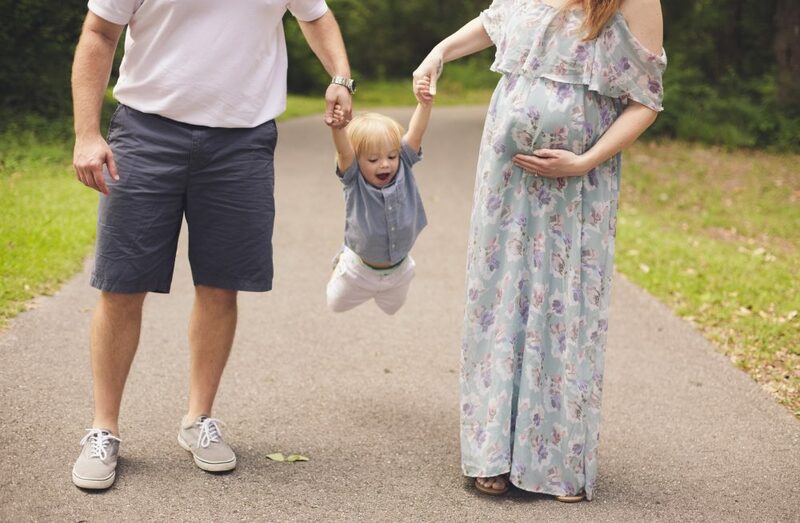 Movement: Y’all, I am convinced this kid is going to be a gymnast or something. He moves SO much in there. We found out at our ultrasound this week that he is weighing in at around 5 pounds 10 ounces (was not ready for that!) So I’m thinking he’s going to be a little chunk. When he moves you can see it across my whole belly. Brandon saw him from across the kitchen this week. Pregnancy is so crazy/amazing. We had a doctor’s appointment this week, and we got to have an ultrasound! From here on out, I’ll be going weekly for my doctor’s appointments, but this was (or should be) my last ultrasound for this pregnancy. Apparently they were a little concerned about something that was showing up on my ultrasounds (but thankfully was nothing to worry about!) so that’s why we got one. We actually got to see our little man’s face in 3D/4D, which we didn’t get to see because he didn’t want to move for our last 3D/4D ultrasound, so we were really excited! I’ve also been sick this week with a sore throat/little cold. Hoping that goes away soon. All in all, just really trying to get ready for our little man to get here & trying to soak up our last days as a family of 3. Ahhhh, still can’t believe it!